In Vincent van Gogh’s “The Bedroom,” a sparse interior becomes a restful study of domestic calm before a psychological storm. I n the summer of 1889, Vincent van Gogh arrived in the Provencal city of Arles and took a lease on one half of a rackety house with green doors and walls the color of butter. In what became known as the Yellow House, he began a maelstrom of activity which resulted in many of the artist’s greatest works, including The Bedroom. Here he painted the calm – but highly stylized – study of his empty room, with its single bed, two chairs, small table and washing bowl, as he waited for the arrival of fellow Post-Impressionist Paul Gauguin. It was the only record of the interior of this house and studio. On the day he finished the work, Gauguin sent news that he was on his way. 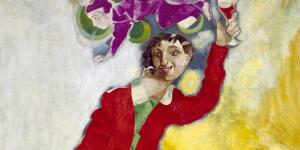 What followed was one of the most explosive periods in art history. Vincent Van Gogh, The Yellow House (The Street), 1888. 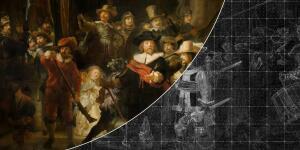 Courtesy Van Gogh Museum, Amsterdam (Vincent van Gogh Foundation). bridgemanimages.com. Van Gogh was a great admirer of the Japanese aesthetic. 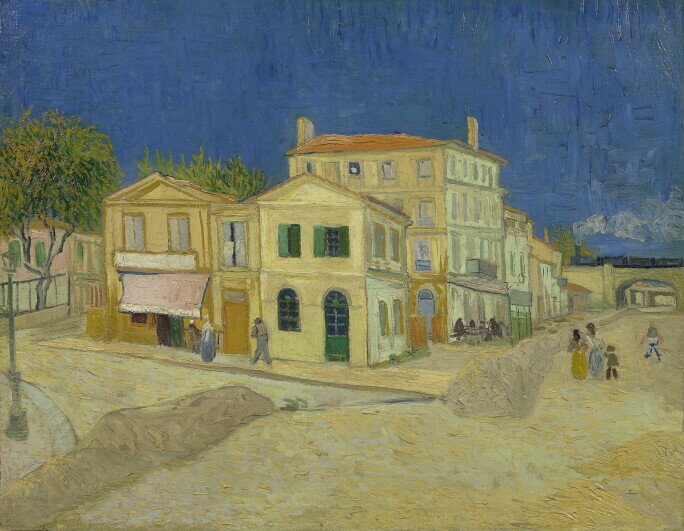 His move to the south of France was in part to find a healthier environment than Paris; but it was also to observe “nature under a brighter sky” in order to understand better the way the Japanese “feel and draw.” In the Bedroom painting, van Gogh sought to emulate the blocks of strong color and the lack of shadows characteristic of Japanese woodcuts. 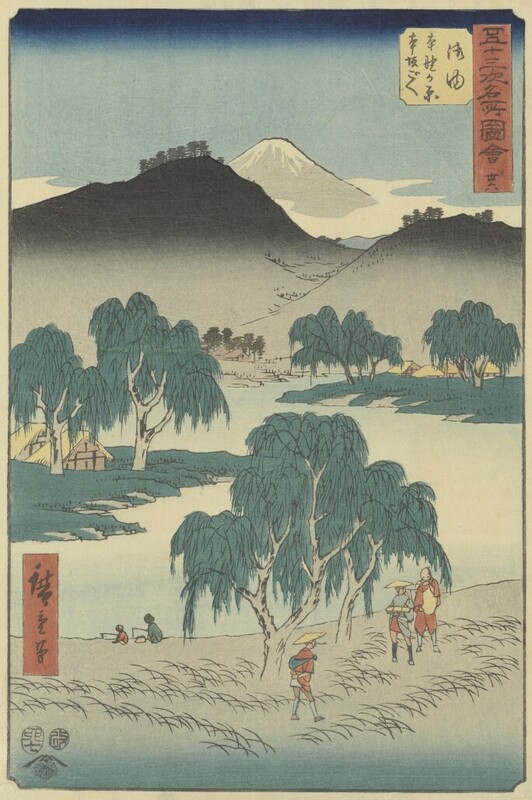 A woodcut print by Utagawa Hiroshige, circa 1855, depicting pilgrims along Tokaido Road. Artokoloro Quint Lox Limited / Alamy Stock Photo. When Gauguin arrived in Arles, van Gogh was euphoric. 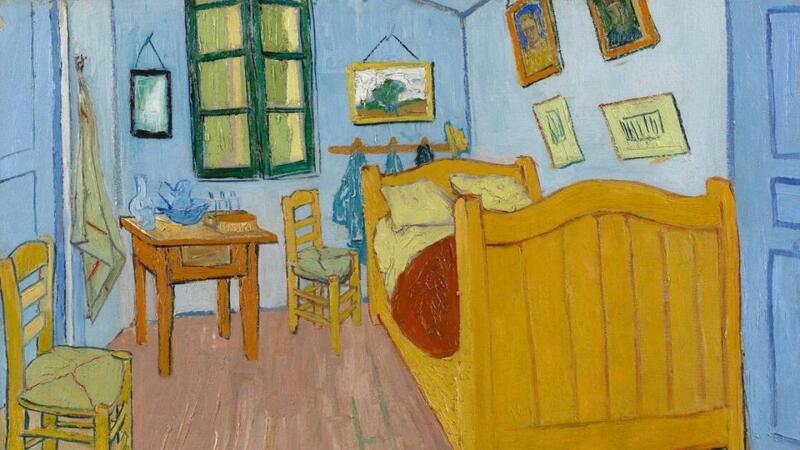 They painted together in the studio and lived in exceeding close quarters in the Yellow House. However, their temperaments were incompatible: Gauguin could be pompous, van Gogh hyper-sensitive and manic. And they had different opinions on art. On a visit to the Musée Fabre in Montpellier, the pair quarreled over the merits of the exhibitions. As the weeks went by they slid into a pattern of painting, drinking and disagreeing. “Our arguments are terribly electric,” Vincent remarked (he once through a glass of absinthe at Gauguin’s head). 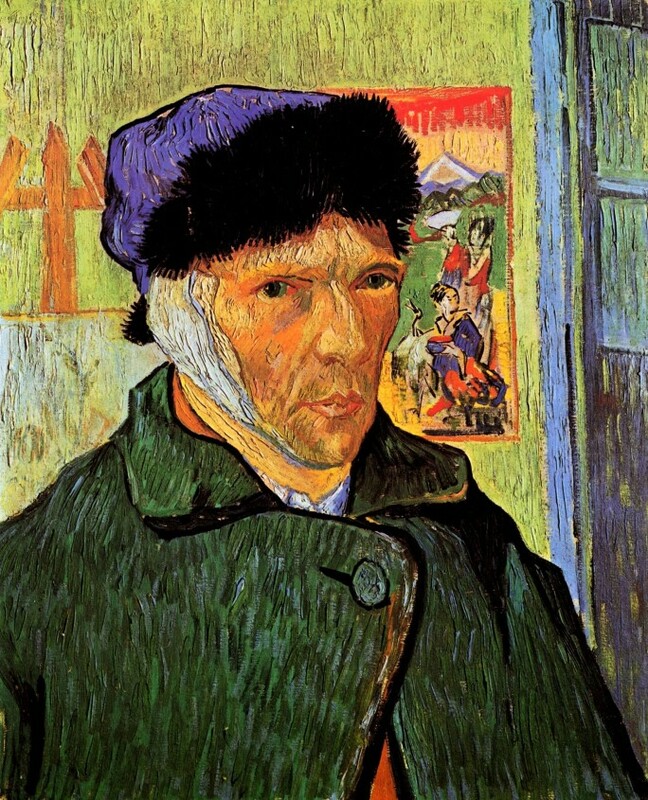 The situation culminated in the notorious incident in which Van Gogh mutilated his own left ear with a razor. Self Portrait of Vincent Van Gogh with Bandaged Ear. 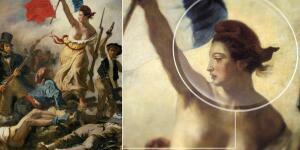 The Protected Art Archive / Alamy Stock Photo. The painting of the bedroom is a reminder of the calm before the storm. Following Vincent’s death in 1890, the picture remained in the artist’s family and is now a highlight of the Van Gogh Museum in Amsterdam, where it can be viewed alongside his painting of the Yellow House and his portrait of Gauguin. 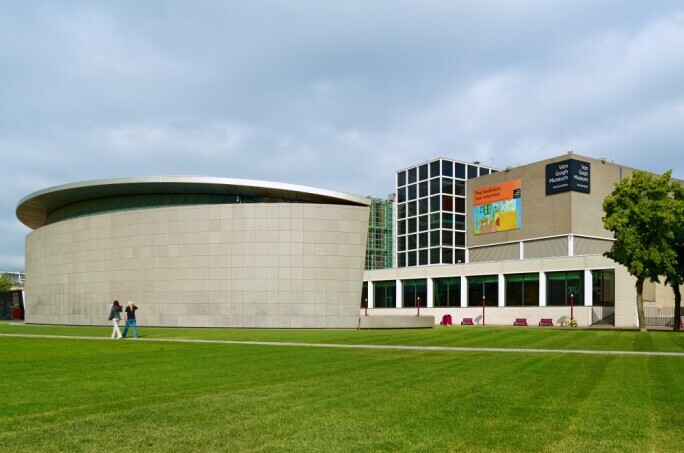 The Van Gogh Museum in Amsterdam. Sotheby’s has been synonymous with the sale of important drawings and paintings by van Gogh ever since Jardin Public à Arles – painted four days before Bedroom in Arles – sold in the legendary Goldschmidt Sale in London in 1958. 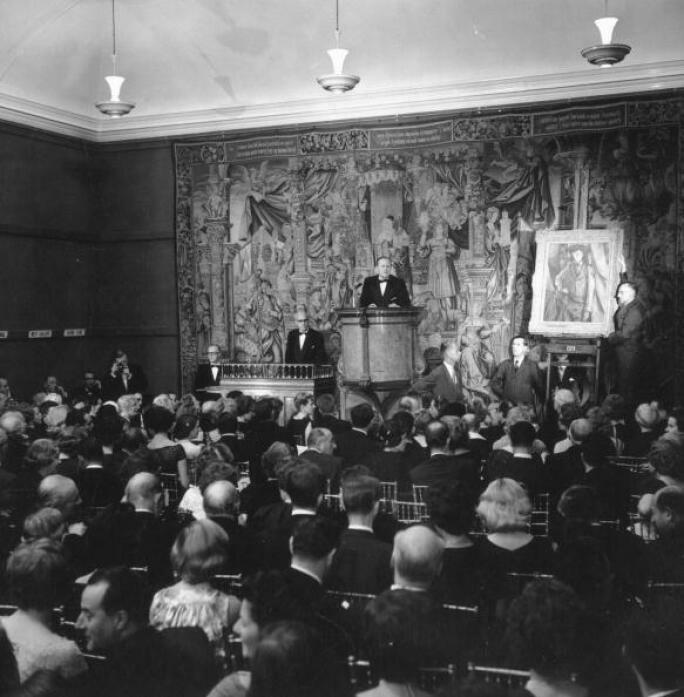 Sotheby's auction of New York millionaire Jacob Goldschmidt's collection of impressionist paintings, 16 October 1958. 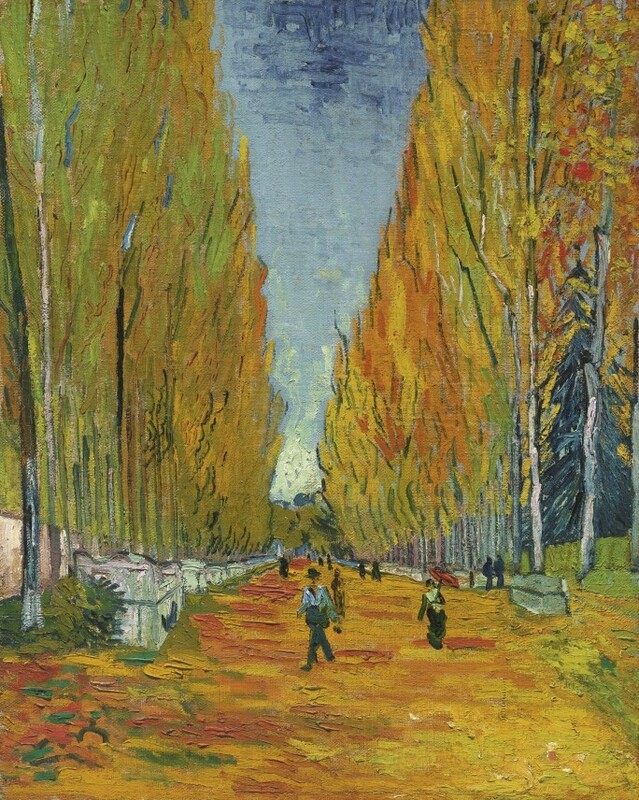 More recently, another of his fine Arles landscapes,L'Allée des Alyscamps, which depicts an avenue of poplars and stone sarcophagi, sold for $66.6 million at Sotheby’s New York in 2015. And works on paper are equally sought after. Another Arles work found enthusiastic bidding when the 1888 sketch, Un Coin de jardin à Arles sold for £1,808,750 at Sotheby's London in 2017. The drawing was of a small garden in Place Lamartine which Van Gogh could see from the windows of the Yellow House. VINCENT VAN GOGH, L'ALLÉE DES ALYSCAMPS, 1888, SOLD FOR $66,330,000 AT SOTHEBY'S IMPRESSIONIST & MODERN ART EVENING SALE, 5 MAY 2015. For van Gogh fans who won't be in Amsterdam, the Metropolitan Museum of Art in New York has brought together all 16 of their paintings by the Dutch master, now on view in their 19th century European painting galleries for the first time in four years. These works tour to special exhibitions around the world, so this is a rare chance to see them reunited together.